The age group of Nursery students is 3+. There are 4 sections in nursery. There are 2 teachers in each section of nursery. 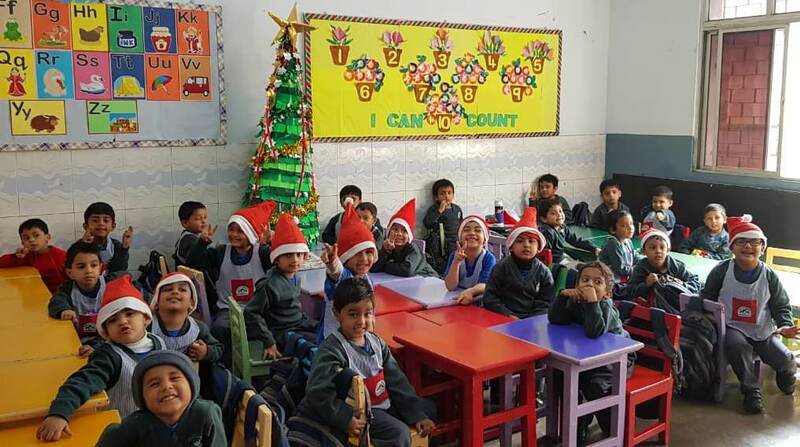 Their time table includes several co-scholastic subjects like music , games , story-telling, rhymes , IT , art and craft besides the main scholastic subjects of literacy and numeracy.